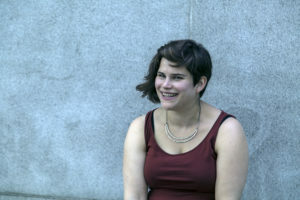 ELLAROSE CHARY is a New York based writer and an advocate for inclusion in musical theater. Her musical THE DOLL MAKER’S GIFT premiered at The Rose Theater in February. Other projects include: COTTON CANDY AND COCAINE (Theater C), TL;DR: Thelma Louise; Dyke Remix (The Tank PrideFest), QUEER. PEOPLE. TIME. (Catwalk Residency), THE LORIKEET (The Flea Theater Commission), the Malaysian musical MARRYING ME (BOH Cameronian Arts Award Winner), PATRIETTES (The #Fword Finalist), THE LAKE AND THE MILL (Drama League; Judson; Finalist, Kernodle New Play Award) and The Civilians’ SONGS FOR A NEW WORLD Lobby Project at City Center (Encores! Off-Center).